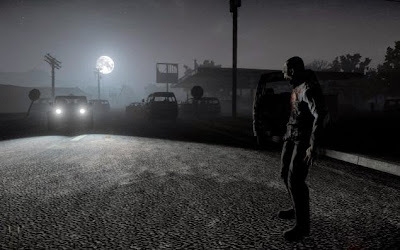 In our crafting guide to H1Z1 we'll show you all the techniques of the survival game. In addition, we give you an overview of what raw materials needed to build the individual objects and where you can find them in the game world. Need some initial tips and tricks to survive? Then read our Beginner's Guide to H1Z1. Of course, there are many recipes to discover. Therefore, our crafting guide is getting bigger. So drop by again and again to discover new things. Here we list all medical items that in H1Z1 can crafting. The links you come to each recipe and you can see there the needed resources. In this list you see all the weapons in H1Z1. Sorry, there are only a few to get hold of it through crafting. The rest can be found in the game world or be acquired airdrops. All other weapons you have to find with happiness. In this list, we will show you who can craft in-game food and beverages. Some items, such as cans find only as loot in H1Z1. We list only these items. Currently there are only a few backpacks in H1Z1 where you can store your items. An overview can be found below. Backpacks without link can only occur as loot in the game world. In this overview to H1Z1 you will find all the tools and items. Some of them can get hold of as loot only in the world. All other manufactures by recipe. In this list you see all the traps in the world of H1Z1 crafting. This catches animals, places for ambushes enemies and upgrades your base with defense. Even for a shelter you are many different recipes available. In our list you will find the articles with you, you can build your own base. Bandages are used to stop bleeding. A small bag with gauze bandages you get every time you start a new character. Unzip the little bundle in order to save space. In addition, you are always be prepared for emergencies and can connect you faster. The First Aid Kit handles large wounds and also heals a large amount of your life energy. This is replenished after use over time. Saline (saline) can be combined with bandages, a First Aid Kit manufacture. To get the Purified Water for the solution, you have a bottle over a fire to heat. Swizzle is a type of stimulant. When taken, regenerate your stamina and your character moves faster in the game world. Therefore, it is not easy to crafting. Branches serve as a rudimentary melee weapon in H1Z1. You can find them at irregular intervals, when Blackberry bushes harvests. With a Branch can crafting better weapons. The spear is the evolved form of melee weapons. With this weapon you already are a serious threat to your opponent. However, you need to manufacture metal bars, which you can only get by melting of tools or with a crowbar. Special Features: Metal Scraps need to be melted down. This gets you through looting of vehicles and its environment, as well as hardware stores and workshops and using a crowbar (crowbar) against vehicles destroyed. Location: By harvesting of (at least) waist-high, green bushes. The second sheet is slightly better than the makeshift bow, but it requires more materials. These are also raise difficult. The combat knife causes bleeding in your opponents, but has a very short range. The Machete combines high damage and a moderate range. The cost of crafting recipe is worthwhile in any case for this melee weapon. With the Lumberjack can make and process so collared logs into smaller wooden planks their trees. It also serves as a good melee weapon. Blackberry Juice provides the bulk of your hydration display restored. In addition, it gives you back a small amount of food. This food is one of the simplest recipes. Special Features: Dirty water (flow rates, etc) must be boiled heating source. Yeast is used to produce alcoholic beverages. It thus serves only to further processing and alone has no benefit for you. Special Features: For this, you need Wheat Seeds that you can find her as loot. Bread or Bread Survival can be combined with meat and restores a large amount of your hunger bar. But it also needs wheat, which can only be cultivated. Coffee with sugar is of course made the same recipe as normal coffee. Only a packet sugar needs to be added. As a result, you get a little more energy and stamina. Sugar can be found also in Supermarket or kitchen cabinets. Hominy is a good source of energy. However, you need first of maize, which you can either grow or random place in the game world. Prepared meat can be eaten immediately without repercussions and gives you back a large part of the energy display. In combination with other foods, the effect is enhanced. To prepare meat you have to cook it over a heat source (fireplace, grill). The Satchel serves as the first backpack. Tear equal to the shirt and the pants to get to six pieces of cloth. Then you craft from the bag. With it, you have enough space for the first forays. A backpack with a frame size of 1200 and thus holds some of your items. For this, the backpack is also necessary to gecraft very troublesome. Special Features: The framework requires four Wooden sticks, granted from the harvesting of green bushes and four nails craftet by processing metal. With this trap catch her smaller animals, such as rabbits and gets some raw meat from them. To do this you need to build up the case and allow to stand for some time. This event is a great way early to get to a continuous source of food in the game. Special Features: Smash wooden crates to get to boards or logs with an ax to boards. IED or booby trap is an explosive that explodes after some time after you have lit it with a lighter. So you can selectively damage to structures, such as buildings realize. For this you need a landmine. Special Features: Look to the contribution to the Landmine how to craftet. The landmine caused a lot of damage when you someone comes too close. It can become an ignitable explosive with rags with which you can perform targeted attacks. Special Features: For gunpowder you need for a charcoal burn her with fire of sticks gets in. On the other hand it requires Fertilizer (fertilizer), which you can find as loot in the game world. Punji sticks are rudimentary spear traps, which you can place on the ground. Each player or zombie in this case too close, loses some energy and life may suffer bleeding. For Punji sticks you need eight Wooden sticks. The snare is similar to a bear trap. It closes when someone steps on the pressure plate. As a result, the target takes damage and is slowed down. This is great for hunting or guests from the base to hold their own. For the Snare you need a lot of Metal Scraps. Craftet part of it to a metal sheet and then combines it with other scraps to create the trap.